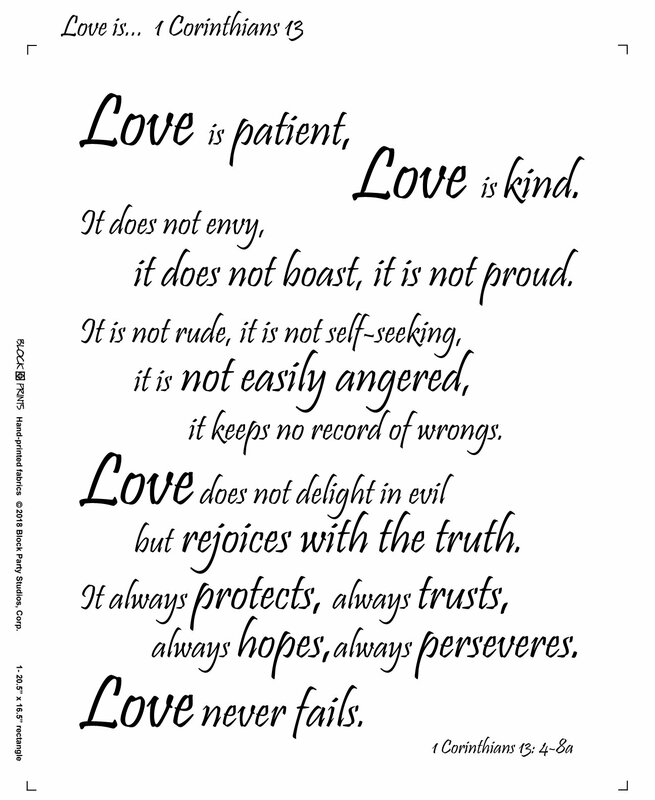 Panel for Love Is... 1 Corinthians 13. This item comes with the fabric panel available in natural or white colored 100% Kona Cotton. Panel measures 16.5" x 20.5".